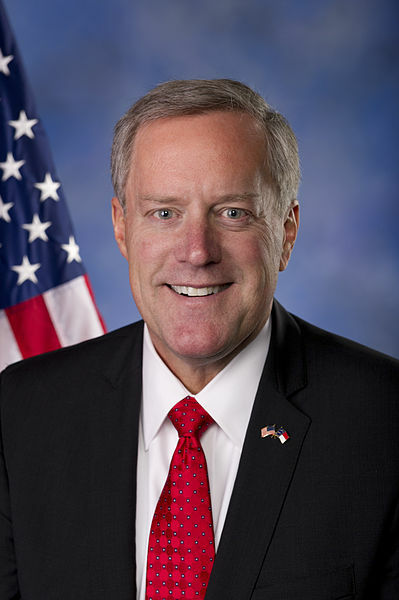 Rep. Meadows has represented the 11th Congressional District since 2013. After growing up in Florida, he moved to North Carolina and started a small restaurant, “Aunt D’s,” in Highlands, which he ran for two decades. As a small business owner and later as a real estate investor, Rep. Meadows understands the hardships caused by government overreach into Americans’ lives in the private sector. After serving as the Macon County Republican Party’s chairman, he decided in 2011 to run for Congress in the newly-redistricted 11th district. In 2012, he beat outgoing Democratic incumbent Rep. Heath Shuler’s former chief of staff, Hayden Rogers, to take the seat. Since he took office in Congress in 2013, Rep. Meadows has been a principled fighter for freedom and conservative values across the board. Unfortunately, to this day, House leadership has not answered to this call and Obamacare remains fully funded, but Rep. Meadows has not stopped fighting for this cause and for leadership to answer to conservative promises. In 2015, Rep. Meadows bravely opposed then-Speaker of the House, John Boehner (R-Ohio), on a procedural vote. As a form of punishment, Rep. Meadows was stripped of his subcommittee chairmanship. This move spurred significant grassroots resistance to reverse the decision, which was ultimately successful. Later that year, Rep. Meadows joined forces with Rep. Thomas Massie (R-Ky.) to introduce a resolution airing a list of grievances with Speaker Boehner and calling on him to vacate the chair. Again, the grassroots support for this move was overwhelming, and Boehner eventually resigned that fall. Unafraid to be a leader for fellow conservatives in the face of a party that increasingly ignores or is unwilling to go bat for actual conservative policies, Rep. Meadows eagerly took up the “leadership-outside-of-leadership” role in serving as the second chairman of the House Freedom Caucus, following Rep. Jim Jordan’s (R-Ohio) time in this role. As the leader of the Freedom Caucus, Rep. Meadows effectively leverages a bloc of around 40 members with a vested interest in, and commitment to, conservative principles to push leadership and other members to support policies that reflect these principles. Rep. Meadows recently communicated these principles and values, as well as what freedom fighters like himself are doing in the House to fight for them, to a group of 2000 conservative activists at FreedomWorks’ Rally for the Republic last Wednesday at the Capitol. Included in his message was a deserved and full-throated endorsement for Rep. Jim Jordan’s candidacy to be the next speaker of the House. Rep. Meadows knows that we need a true conservative leading Republicans in the House if our elected officials are to ever follow through on the promises they make to us year after year on the campaign trail. As he has proven over and over in his votes and his actions, it is clear that Rep. Meadows knows what it means to represent best interests of the American people. His 94 percent lifetime score and a recent three-year streak of 100 percent scores on FreedomWorks Congressional Scorecard speak for themselves. FreedomWorks could not be more proud to honor Rep. Mark Meadows (R-N.C.) as October’s member of the month. The fight for conservatism and limited government is far from over, and Rep. Meadows is a tried and true champion in this fight. Most of the people were addicted to play the multiplayer cards game so here https://myeuchre.com you will play Euchre game online free of charge which you will play with your friends by connecting them as multiplayer or play with random player.